There are many advantages of using block paving, apart from their aesthetically pleasing look, they are also extremely durable and little maintenance is required. These blocks are available in a wide range of styles, colours and textures and can be laid in almost any pattern you specify. 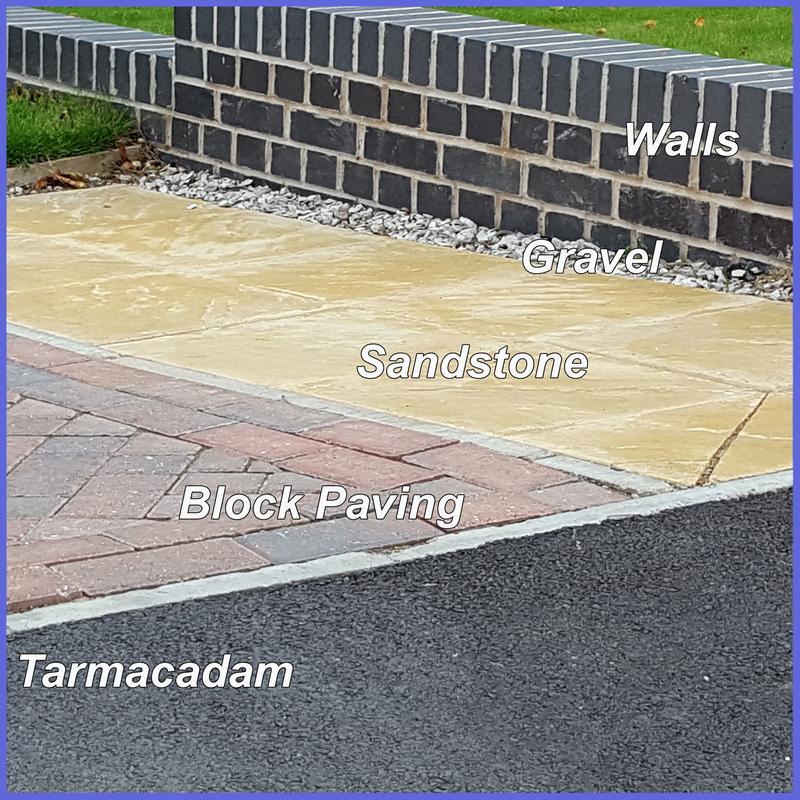 A variety of edgings can be used, but a block pave edging to compliment or contrast the main driveway gives it a fantastic finish. Newly laid block pave driveway and pathway combined. 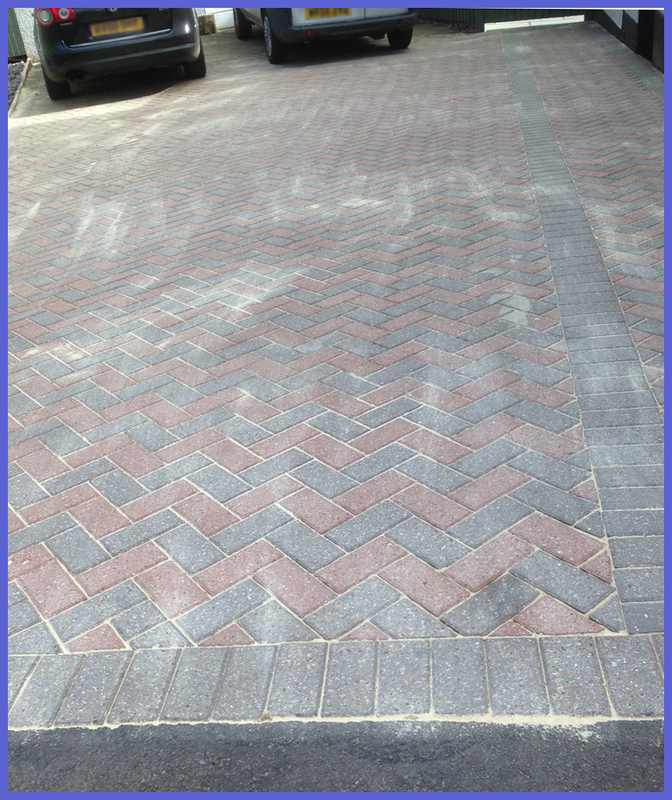 Herringbone pattern using two block pave colours, grey and red blocks with a grey matching block pave edging. Kiln dried sand brushed between the joints and after compacting, brush away any excess sand. Acorn Tree & Landscapes are a family run team. 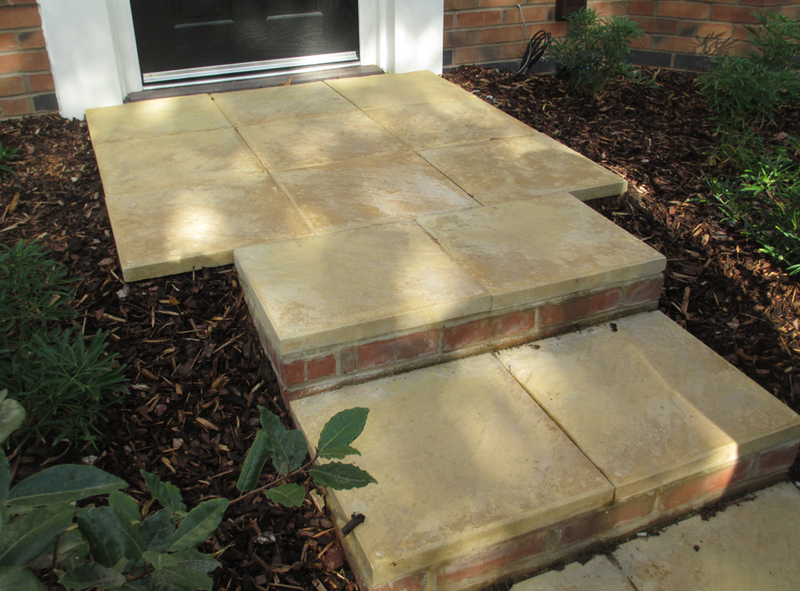 We have over 17 years of experience building and creating driveways, paths, patios and building extensions. More and more people are considering the cheapest option of either moving home or having an extension built on their family home. We will help advise you make the right decisions on choosing the best driveway for your property. Considerations such as the best materials to use, laying pattern, texture and colour are all important so that the driveway enhances your home and does not fight against it. Our friendly team will be on hand to guide and advise you every step of the way. Acorn Tree & Landscapes also provide a block pave driveway and patio service and have been creating and installing driveways for years. 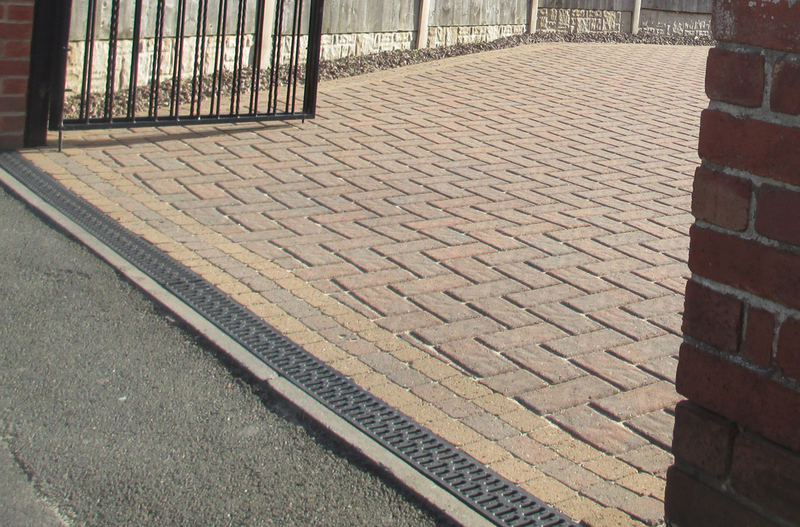 Block Paving is extremely popular and a block paving driveway will enhance your property. It is important, if required, we lay/install water drainage products. Although block paving requires very little maintenance it does need cleaning from time to time. Dirt, debris, moss and even weeds will make the driveway unsightly. We offer a cleaning service that will bring your driveway, path or patio back to its former glory. We tackle the weeds and then thoroughly clean the driveway. We take pride in carrying out all our work. Rest assured that the job in hand will be finished on time and to a very professional standard. We do not sub-contract out. Call our team today for a free onsite visit to discuss your requirements Contact Page. We remove all types of old driveway products. We build patios and paths and also install artificial grass. We build Extensions & Build Walls. We can add Garden Walls, Garden Steps or doorway steps. We always plan for water, add drainage wherever required. 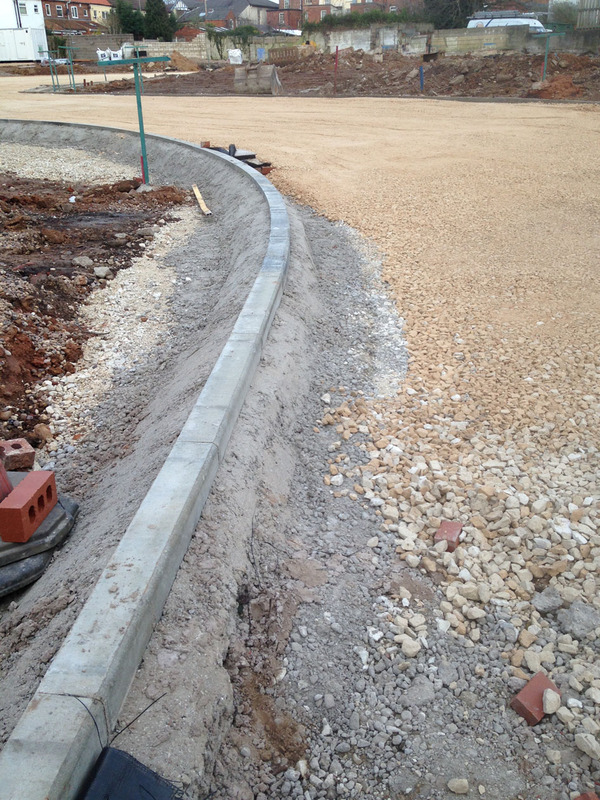 We always install edges to your driveway or pathway. All of our work is guaranteed for up to 5 years following the completion of the project. 14 day cooling off period following new quotes.